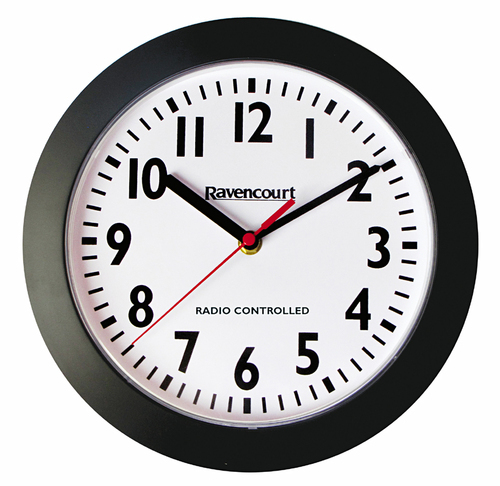 A full range of large radio controlled wall clocks for UK schools, offices and other large indoor spaces. 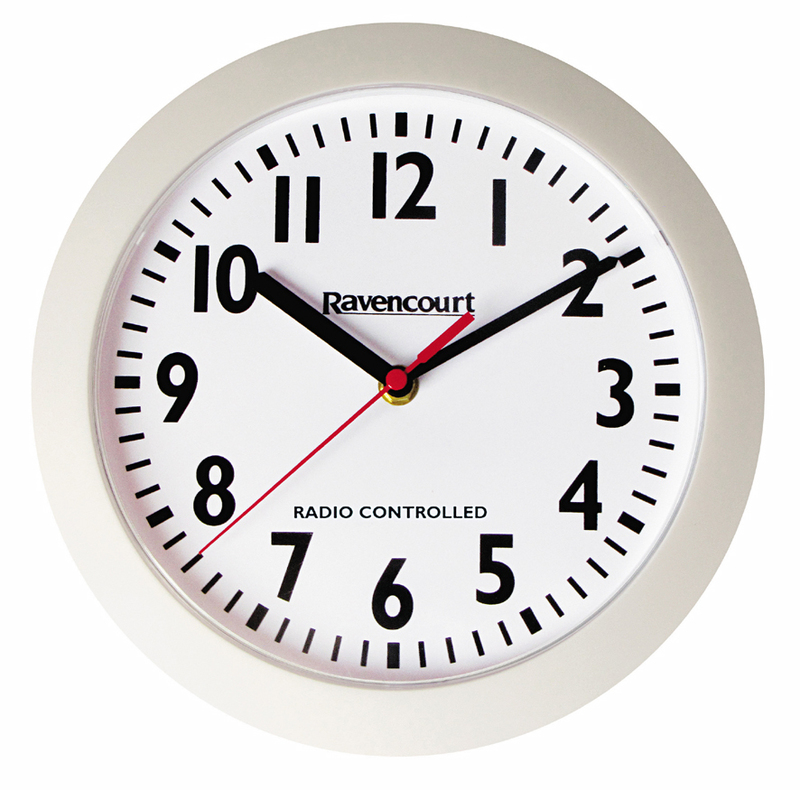 Ravencourt stocks a full range of radio controlled wall clocks allowing peace of mind as well as taking away the need to update every clock twice a year. 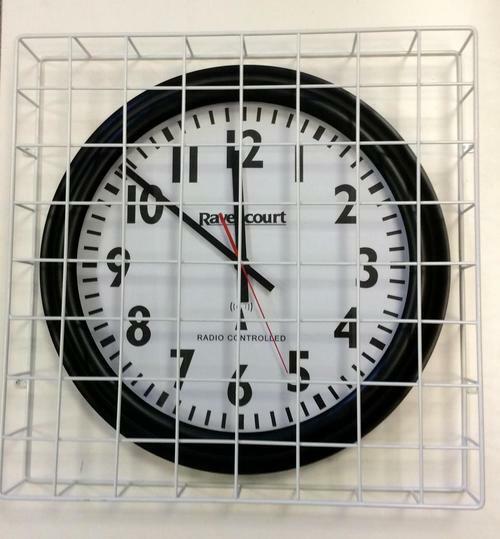 This is especially useful in saving time and money for premises where many clocks are installed such as offices, UK school classrooms and exam halls. 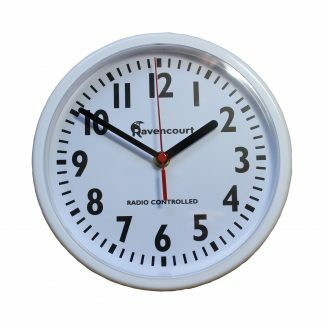 All radio controlled clocks have a large dial with easy to read markings and come in sizes ranging from 25cm diameter to the extremely large 46cm diameter. 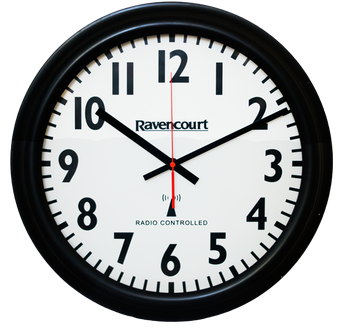 As all radio controlled clocks are under the Ravencourt brand we can supply at a very competitive price not only saving you money on your purchase but on the time spent changing every clock at your office or school twice a year. 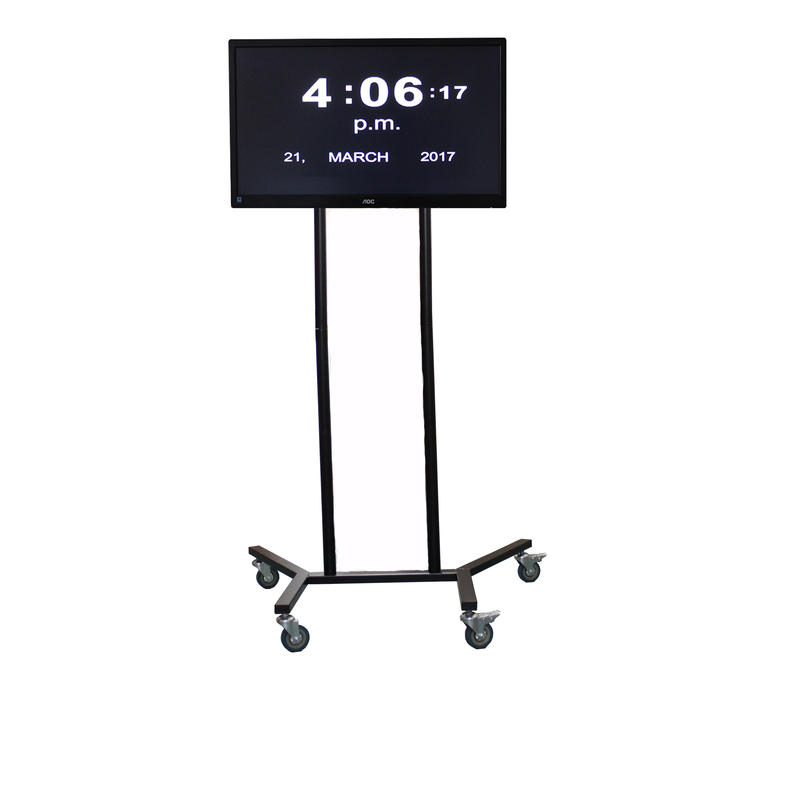 Another benefit is synchronisation of the clocks throughout each room you have a clock installed. 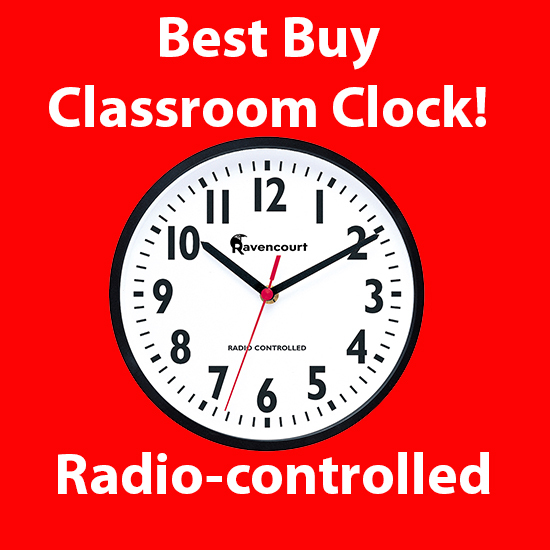 As the clocks are radio controlled there is accuracy of time to 1 second in a million years.